"Vixenator II" or how to turn "risk" into "opportunity"
What happens when "risk" is turned into a mimetic poly-alloy? We get Vixenator II and "risk" turns into "opportunity"! While working on a risk ratio, a statistical approach towards VIX and SPX turned out to be rather promissing. 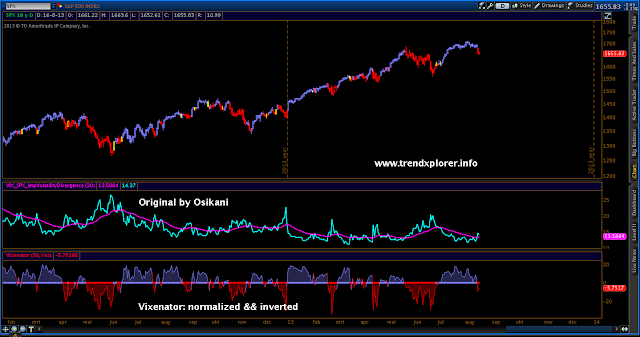 Back in January a statistical framework was provided for DMI, MACD and RSI. For creating Vixenator II the same approach is used. For the sake of brevity please consult the mentioned posting for the theoretical background. 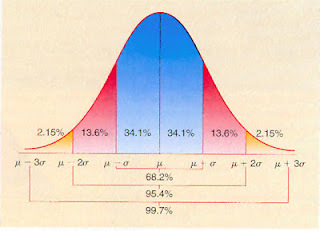 Bell curve of "normal distribution"
By design Vixenator (I) was limited to daily charts. 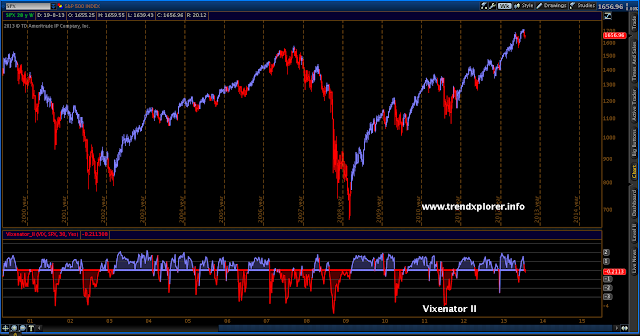 For the sequel a new composition is used resulting in an indicator way more mouldable than its predecessor: because of its "liquid elements" Vixenator II allows for application on all timeframes. So, The Governator Is Back, Huh? Meet the Vixenator! "I'll be back" and guess what? Yes, Arnold is back. Again, I might add. Anyway, the nickname "Governator" came into my head when I was introduced to the following neat indicator: Vixenator (thanks mr. T!). But before introducing the Vixenator, I'd like to thank all my visitors for 50,000+ pageviews and their continuous support! Implied volatility is an estimate of the volatility of the underlying stock that is derived from the market value of an option. Implied volatility is the volatility number that, if plugged into a theoretical pricing model along with all the other inputs, would yield a theoretical value of an option equal to the market price of the same option. 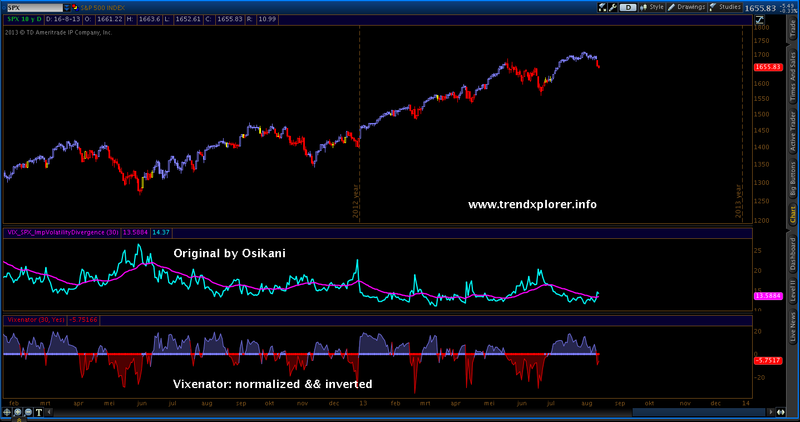 As "Osikani" put it: "Put it on a daily chart (the only chart on which it will plot), and see how it calls the market direction quite well: VIX above IV of SPX is a falling market; and the converse."